Another network of tunnels and underground dug-outs near the DMZ, in Central Vietnam. 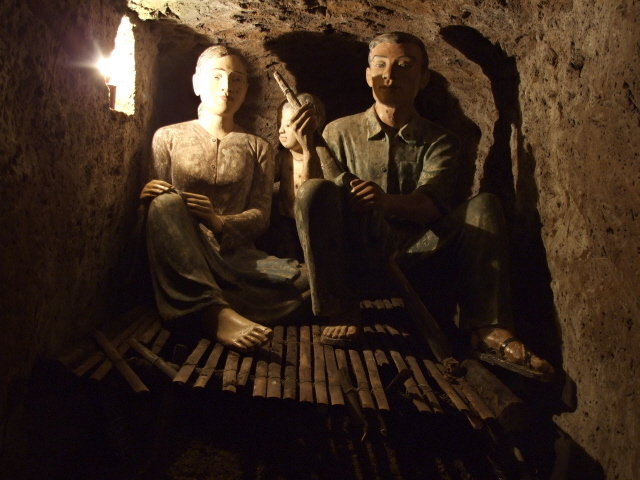 Unlike the more famous Cu Chi tunnels near Ho Chi Minh City, the Vinh Moc tunnels were less for combat during the Vietnam War and more for actually living in. More background info: During the Vietnam War, esp. between 1968 and 1972, Vinh Moc found itself in what the USA had designated "free fire zones", where anything that moved was treated as a legitimate target. Constant carpet bombing by B-52s made life above ground impossible. So while some inhabitants fled, others dug in. 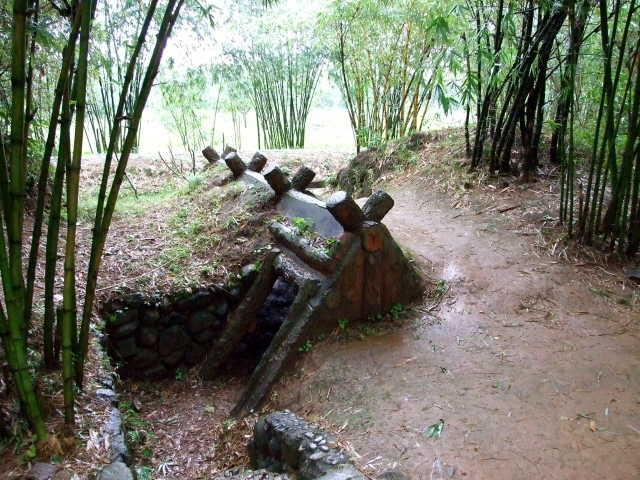 Thus a whole village was relocated underground at Vinh Moc. Using only primitive tools, a network of some 2 miles (3 km) of underground passages was dug out. The heavy clay earth made it possible to dig deep into bomb-proof levels. The inhabitants only ventured outside to tend their fields (or what US bombing had left of them). 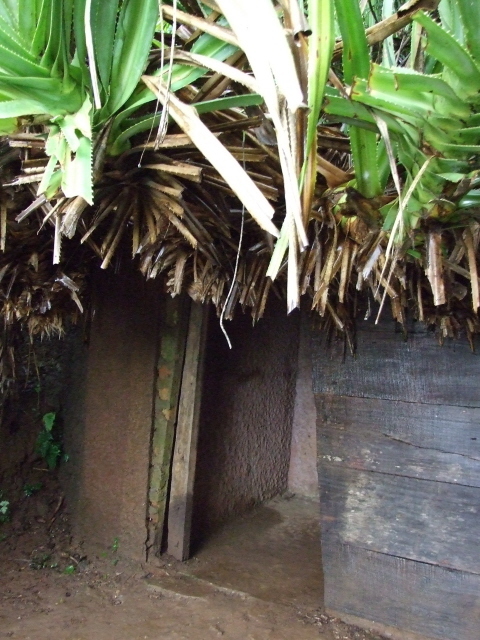 Village life otherwise continued in the tunnels, which were comparatively comfortable (in contrast to the combat tunnels of e.g. Cu Chi). 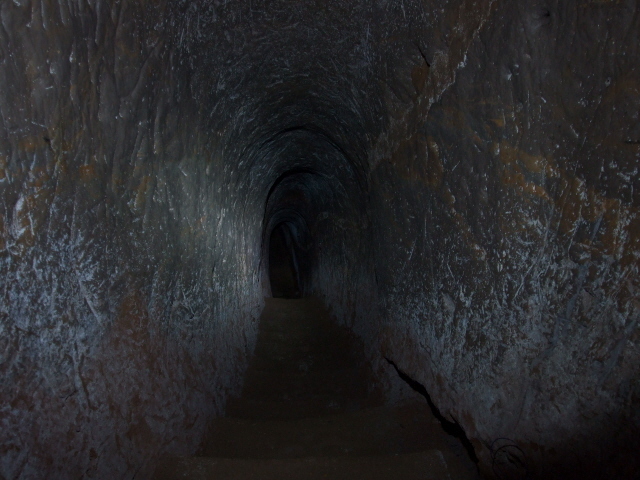 The tunnels were not purely for civilian purposes, however (the distinction between combatants and civilians is notoriously blurred in the context of Vietnam anyway), but were also used to transport weapons and other equipment, brought in from Con Co Island, a North Vietnamese base off the coast near Vinh Moc in the South China Sea..
What there is to see: The tour of the site (with local guides) typically takes in the small museum above ground first – which is a rather dark and unrevealing affair, with a few artefacts, photos and socialist realist war glamorization (that pretty female star of the propaganda film shown at Cu Chi makes a re-appearance in a photo portrait), and a few strange objects, such as a watch, which apparently was a gift to Uncle Ho from the GDR (don't ask me what it's doing here at the tunnels). Steps then lead down the actual tunnels. You pass the "family quarters" – basically just niches cut into the side of the main tunnel, with barely enough space for three people and zero privacy. You also get shown larger dug-out rooms used for meetings, storage and as a hospital. Today, many of these are occupied by those life-size but rather non-life-like dummies to illustrate things for tourists better. Suddenly you emerge into daylight again, directly by the sea, just above a beach. This exit, then thoroughly camouflaged, would have been for receiving night-time deliveries of weapons and other supplies from the sea (via Con Co Island) … You too go back in but eventually get out at one of the ground-level exits. Negotiating these tunnels is a lot easier than getting down the much narrower and dirty Cu Chi tunnels, although if you're tall you still have to stoop a bit and be careful not to bang your head. 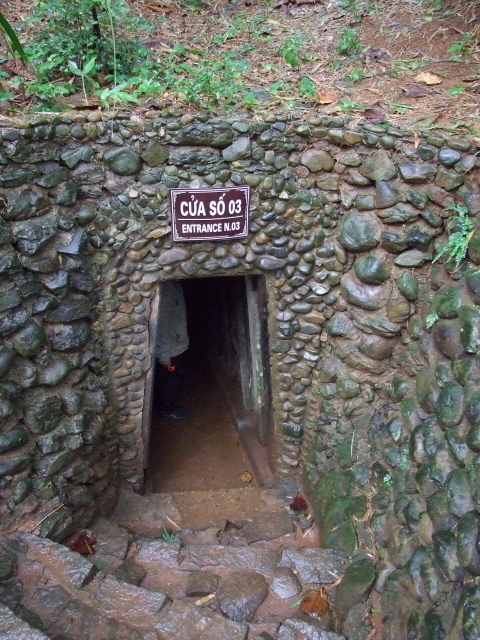 But that's nothing compared to the claustrophobia the full length crawl thorough the preserved Cu Chi tunnels can generate. 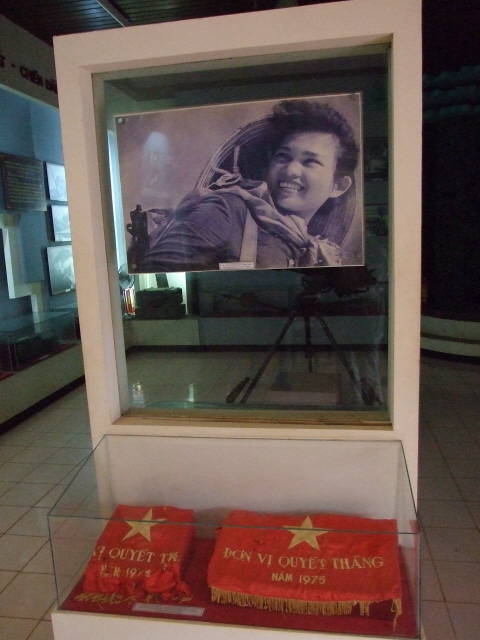 Location: on the northern side of the former DMZ of Central Vietnam, by the coast, some 25 miles (40 km) north of Dong Ha, and just a few miles north east of Hien Luong Bridge. Access and costs: for general tours see DMZ. Independently, you could get a taxi or minibus from Dong Ha. Opening times of the tunnels/museum: 7:30 a.m. to 5 p.m., admission is nominally something like 25,000 Dong (but that's typically included in DMZ guided tours anyway). Time required: about 30 to 40 minutes for the tour and a quick look around the museum. Combinations with non-dark destinations: see DMZ/Hien Luong Bridge.